Please join me for a free educational webinar on January 23, 2019 (noon-1p.m. Central Time) being convened by eHealthcare Strategies. You’ll hear the top findings from this year’s HDX-15 Research Report, and catch a guest appearance by Aaron Watkins, who leads digital strategy at Johns Hopkins Medicine. What is the HDX-15 Research Report? This is a report uses a baselining method I created for measuring the strength of digital brands. Now in its third year, our report serves as a guidepost for measuring industry progress and emerging digital best practices among the country’s most highly regarded hospitals. What’s the digital team at Johns Hopkins Medicine up to? 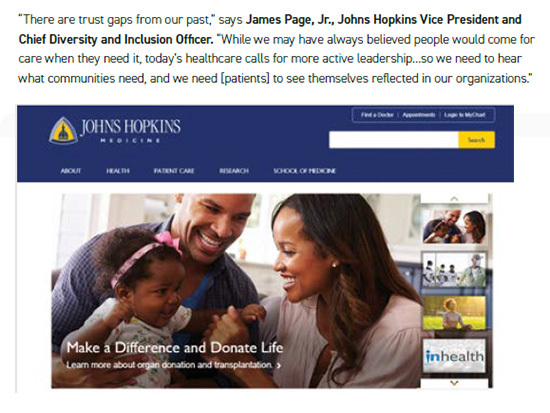 This year’s report shows Johns Hopkins to be a top five leader in Market Impact and overall traffic. Our data show that among the 15 top-ranked hospitals, they receive the highest portion of non-branded search visits. In this year’s report we feature non-branded search as a key indicator of how well digital teams are adding to what may already be famous healthcare brands. Similar to other HDX-15 health systems, Johns Hopkins Medicine became both more global as it expanded operations in the Middle East, and more local through its Hopkins LOCAL initiative. Its brand was among the most notable examples of how the healthcare industry projected greater racial and gender inclusion, which is a major finding of this year’s report and our upcoming webinar. The HDX-15 Research Report previously recognized Johns Hopkins, for their multi-year effort to simplify the writing on their website, resulting in an average improvement in readablity and establishing them as a leader in this respect among other great hospital brands. 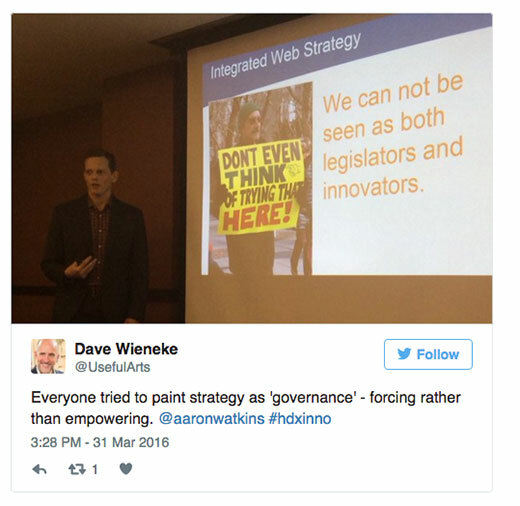 Aaron Watkins, the Senior Director of Internet Strategy at Johns Hopkins, will be adding his perspective on healthcare marketing an innovation. Now in his eleventh year heading up digital for Johns Hopkins, Aaron oversees a 25-person team that sets the bar high for achieving visitor satisfaction across its digital properties. Aaron and his team generously helped us test early versions of the Hospital Digital Index, and we’re glad to share the stage with him again. In 2016 Aaron presented at Connective DX’s Healthcare Executive Forum on Diving Deeper into the New Healthcare Consumer Experience, along with Forrester consultant, Kate McCarthy, and Blue Cross & Blue Shield of Massachusetts’ Matt Templeton. The Health IT Marketer Podcast was there for the event, and you can hear his presentation below.